As I paid for my coffee and headed out of earshot towards the first tee their argument continued. The only thing they agree apon was that Doug Carrick did a masterful job designing all three courses and each was beautiful and outstanding in its own right. Can't say I argue with that conclusion. Each course offers a unique layout, challenges different parts of your game and are each aesthetically different from one another. In the end I decided to nominate the par 5's from Heathlands, the 3's from Hoot and the closing stretch at Toot to our Shot Maker's Hall of Fame collection. Heathlands: If I had stayed to join in on the debate I would have had to agree with Eric that the links style routing of the Heathland is the truest test of pure shot making. You can’t let your guard down for one shot on this course. The layout is routed through a mostly treeless flat piece of land with a few rises and drops here and there and water hazards are only a factor on a handful of holes. However, the fairways are narrow, the rough is fescue filled with humps and bumps that will cost you dearly if explored too often. If your driver goes astray at Heathlands you will be in for a very long day and the greens are tricky so your green reading skills will be continuously put to the test. The bunkering is strategically placed and always seem to be in your line of sight heavily influencing your decision making. On a course full on notable holes the Heathlands has a collection of par fives that are standouts. The opening hole sets the tone for the day. The narrow landing areas on both the drive and the second shot must avoid bunkering and the gnarly fescue growing on the mounding that lines both side of the fairway. The approach shot must carry a pot bunker build into the face of the rise leading up to the elevated green site. The challenge on the gently uphill rising fourth hole presents itself on the second shot setting up for the approach. This shot must carry a series of bunkers placed in a 45 degree angle left to right to find the optimal pitching angle to the green. The conservative strategy is to favour the left side of the fairway bunkers as much as possible, however, a longer approach shot from this vantage point to the sloping and bunker protected green complex can be awkward depending on the pin position. If the pin is back right tucked behind bunkers the conservative route is prudent. A aggressive line will bring a big number into play should you fail to carry the bunkers. Howeer, if successful a relatively benign pitch shot is the reward to all pin positions save the back right. Hole number nine present your best birdie opportunity on the front side. If you drive carries the three cross bunker set at the inside corner of this dogleg left your ball will be propelled forward down a gentle slope shortening the hole considerably, however, a ball driven through the fairway straight risked finding one of two bunkers waiting to ruin any thoughts of birdie. The wide but shallow green complex cants from left to right and is protected buy bunkers short left a couple of large Swamp Maples to the right. The monstrous 553 yard par 5, 17th hole play much longer than the posted yardage as the prevailing winds will try to push your drive towards the hazard running down the entire right side of the fairway. The fairway then doglegs left leaving an approach into the teeth of the wind. The left side is protected by the aforementioned humps and bumps and well placed bunkers. The sloping elevated green complex also adds a few extra yards to the hole and for good measure is protected by a pond short and right. There is not a lot of margin for error on this hole and par is a good score. Toot: Fred made some valid points on the playability and the picturesque parkland beauty of the Toot. 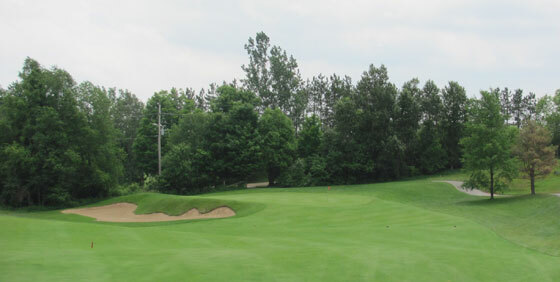 The fairways offer generous landing areas and the greens are accessible and fairly large. However, many are elevated, contain undulations that are severe in places and protected by huge deep bunkers so if you miss club and short side yourself the “A” sand game better be on hand. 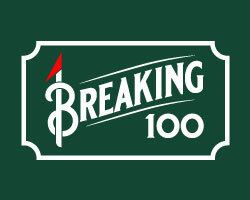 Of the three courses Toot has the strongest finishing stretch with two all world par fours and a spectacular risk reward par 5 to close out the round. The 16th is a beastly 464 yards from the tips that calls for a drive long down the left side skirting the fairway bunkers to set a slightly down hill mid-to-long iron approach. The green site is gently false fronted on the right and is protected by a huge bunker left and the long ball will flirt with the trees and OB stakes. Although hole 17 is listed some 20 yards shorter that the 16th the fairway is elevated, as is the green, so it may actually take more club to reach this green in regulation. A long drive uphill drive must first carry a swamp like hazard then a wall of right side bunkers to find the fairway. A purely struck long or medium iron is needed to find this well guarded dance floor with junk left and gapping bunkers posted sentry left and right. Similar to 17 the drive from the 18th tee must avoid a wall of right side bunkers to have any chance at going after this green in two if an eagle finish is in the cards. Players of the long hitting aggressive mind must commit to the shot and hit a towering right-to-left approach that must carry the inlet of the pond that lurks left of the green. Failure to reach the putting surface will either have you heading to the drop zone or reaching for your sand wedge if you are short of the target. The bale out long or right will find one of the three gapping bunkers that await. The prudent play, although not as fun, is to lay up in the neck or shy of the pond and let your wedge game and putter go to work. Hoot: In the end I may lean towards Ron’s camp. I think the wasteland layout of the Hoot offers a little bit for everyone and the combination of beauty and beast in just the right measure gets my vote for king of Osprey. 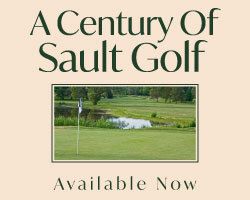 Played from the correct tees, the course is equally challenging and playable for players of all abilities. From the back tees it is the longest of the three at 7201 and from the front tees the shortest at 5140. The fairways are more forgiving than the Heathlands but not as generous as the Toot. Featuring waste bunkers that stretch from tee-to-green on many holes and water hazards are a factor throughout much of the course. Notable holes on the Hoot are many with #17 recently ranked #2 in our Top Ten Grip-it-and-Rip-It feature, however I have to single out the collection of par 3’s. Each is varied in design with the 4th hole playing sharply down hill to a false fronted, bunker protected green site perched on the far side of a valley. Number 8 is a mid iron shot across a chasm to a heavily sloped green on the other side. Short is not good! The 10th hole is the longest of the three’s playing 216 yards from the tips. 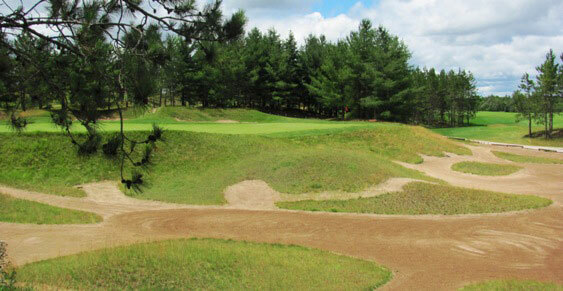 This flat hole is characterized by a waste bunker that runs down the left side from tee to green. The final par 3, #15, may be the most interesting hole on the entire property. 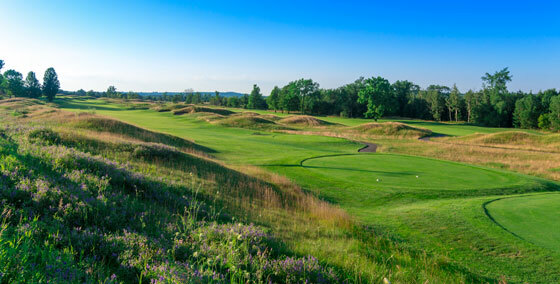 A mere 82 yards from the front and 160 from the back the teeing ground sits elevated above a deep waste bunker that stretches from the tee to the elevated green complex on the far side. The putting surface is wide and shallow and breaks every which way. 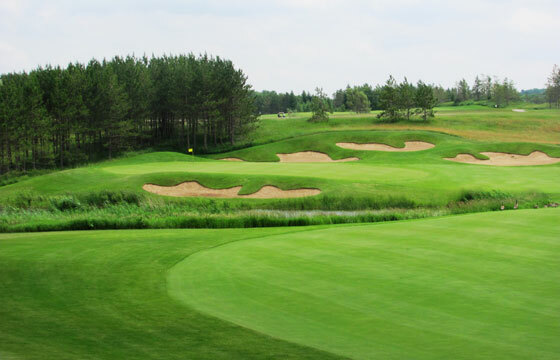 Whether your preference is links, parkland or wasteland layouts you really can’t go wrong tipping it up at any one of Osprey’s courses and a drive out to Alton (ten minutes south of Orangeville) is well worth the road trip. All are a test and all are worthy candidates on anybody’s “best of” list.